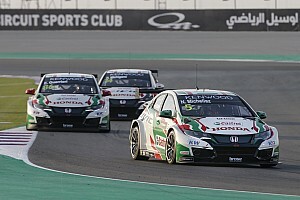 Honda's title hopeful Norbert Michelisz completed a clean sweep of fastest times in the final two WTCC practice sessions of the 2017 season in Qatar. Michelisz set the fastest lap of the day on a new tyre run towards the end of the second session, his effort of 1m59.739s beating the previous best lap of the Losail circuit recorded by Jose Maria Lopez in the first part of qualifying in 2016. 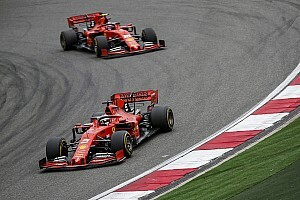 That left the Hungarian, who is 6.5 points shy of Volvo's Thed Bjork in the title race with 60 on offer in Qatar, the best part of a second clear of his nearest competitor at the time. Although teammate Esteban Guerrieri improved on his own new tyre run, Michelisz still ended the session 0.702 seconds clear at the head of a Civic 1-2. Nicky Catsburg was third in his Volvo ahead of Bjork, who wound up more than a second slower than his chief title rival. Bjork finished the day's earlier practice session in third, on that occasion falling three tenths shy of Michelisz's time as Rob Huff (Munnich Citroen) split the pair. Volvos occupied third to fifth in FP1, with Catsburg marginally slower than his team leader and the returning Yvan Muller backing them up. 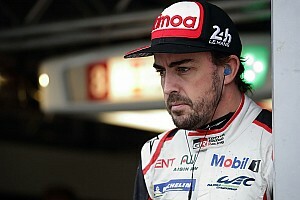 Four-time WTCC champion Muller has come out of retirement for the final round of the season to assist Bjork's title push and completed 26 laps across the two 45-minute practice sessions. The Frenchman ended the second session outside the top 10 in 11th, on the tail of nephew Yann Ehrlacher. An incident involving Ehrlacher brought out the only red flag of the day before any laps had been completed in FP2, with Zengo Motorsport's David Zsolt Szabo driving into the RC Motorsport Lada. Szabo then proceeded to spin and clipped Daniel Nagy in the sister Zengo Honda.